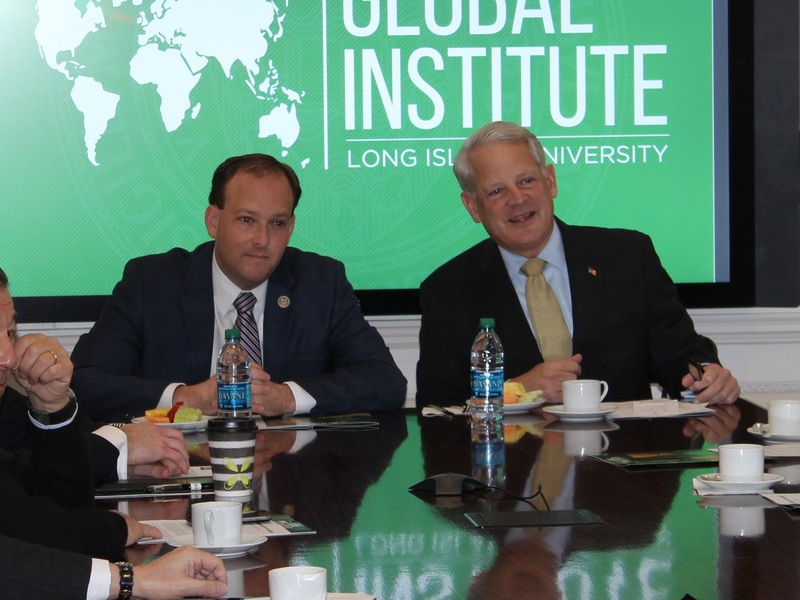 Brookville, NY (December 11, 2017)—The Global Institute at LIU hosted Congressman Lee Zeldin (R-Shirley) for a conversation with former Congressman Steve Israel, Chairman of the Global Institute, at an executive breakfast Monday. The Congressman discussed global affairs, including Monday’s terrorist attack at the Port Authority, ISIS, the Iran nuclear agreement, Syria, Russia, and North Korea. Although he and Congressman Israel sat on opposite sides of the party aisle, they agreed that moving the US embassy to Jerusalem in Israel was the right move for the President. Congressman Zeldin took questions from prominent Global Institute members on issues of concern spanning the globe. Lee Zeldin was born in East Meadow, N.Y., earned a B.A. at State University of New York, Albany, N.Y., 2001; J.D., Albany Law School, Albany, N.Y., 2003. He served in the United States Army from 2003-2007, where he was deployed to Iraq. He currently serves in the United States Army Reserve. 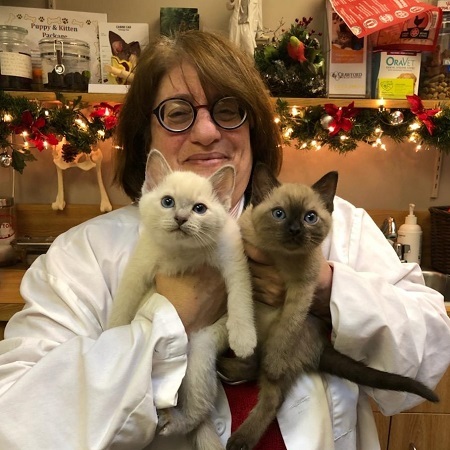 After serving in the New York State Senate, Zeldin unsuccessfully challenged Congressman Tim Bishop in 2008, but defeated him in 2014 and was elected as a Republican to the One Hundred Fourteenth and to the succeeding Congress. Zeldin is a member of the House Foreign Affairs Committee, Co-Chairman of the House Republican Israel Caucus, and one of only two Jewish Republicans in Congress. He lives in Shirley with his wife and two daughters. Chaired by former Congressman Steve Israel, The Global Institute at LIU is a premier regional platform for understanding a world that’s increasingly volatile, uncertain and complex. 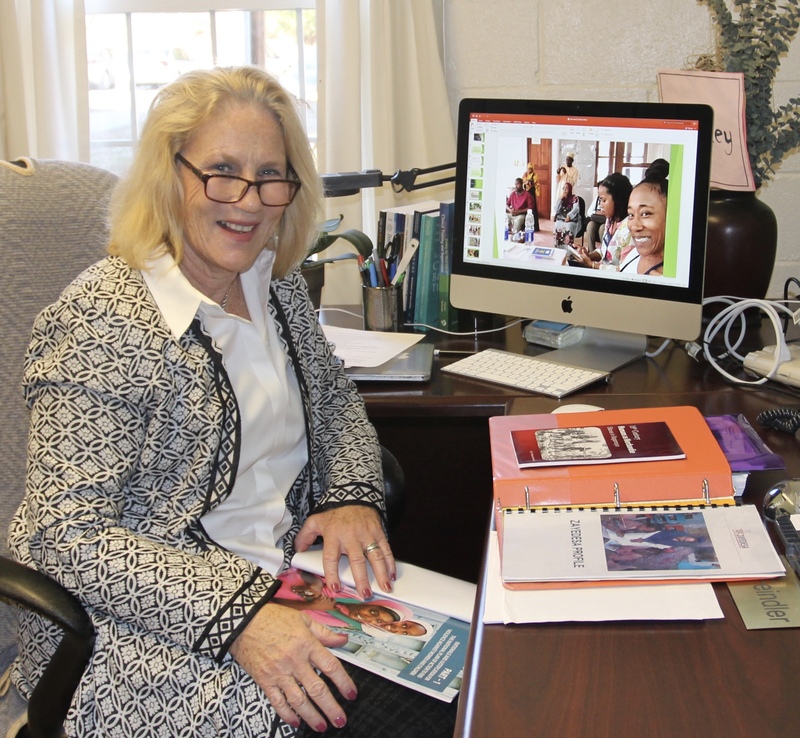 The Institute’s non-partisan mission includes bringing world leaders, thinkers and analysts to campus; serving as a resource for the University as well as regional business leaders and social activists for information and analysis of world events; and helping to prepare students to change our world with new models of innovation and social entrepreneurship. Past speakers have included General (Ret.) Colin Powell and President Bill Clinton. Upcoming speakers include President George W. Bush in 2018.